A popular dish available at local restaurants and tea stalls throughout Goa, one that is commonly eaten for breakfast. Patoll (patal) bhaji is prepared with dried white or green peas that are hydrated, boiled and cooked in a spicy watery gravy with potatoes. Relished with pao (bread) or puris and often accompanied with sukhi bhaji (potato bhaji). When patal and sukhi bhaji are served side by side together in a plate, it is known as mixed bhaji. The array of spices for the gravy are roasted before grinding into a paste lending a unique aroma and flavour that makes patal bhaji truly irresistible and finger-licking good. A dish that my family and I always look forward to enjoying on our visit to Goa. 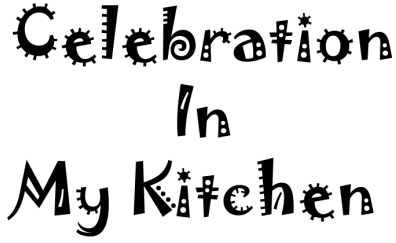 Replicating the dish at home, I was happy to see that they loved it and heard them say, "this is good". 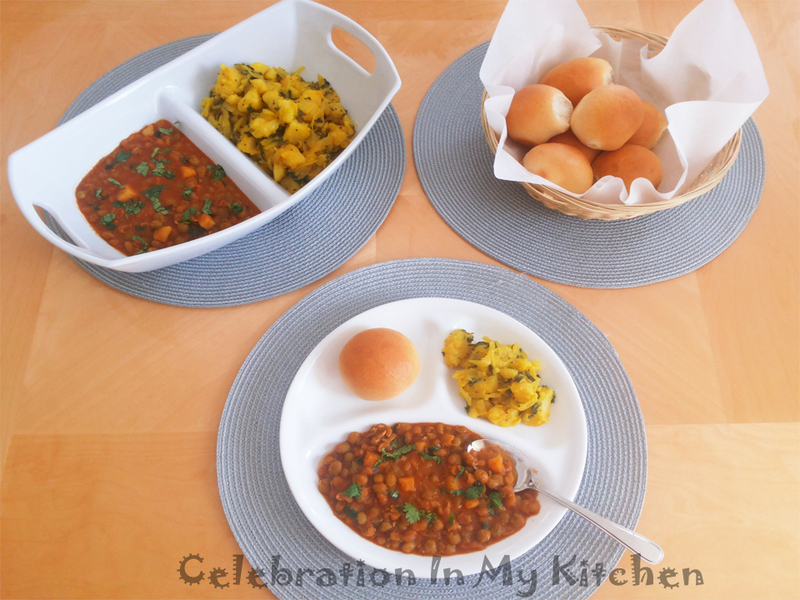 To go with patal bhaji, I prepared sukhi bhaji (potato bhaji) and home baked pao (bread). 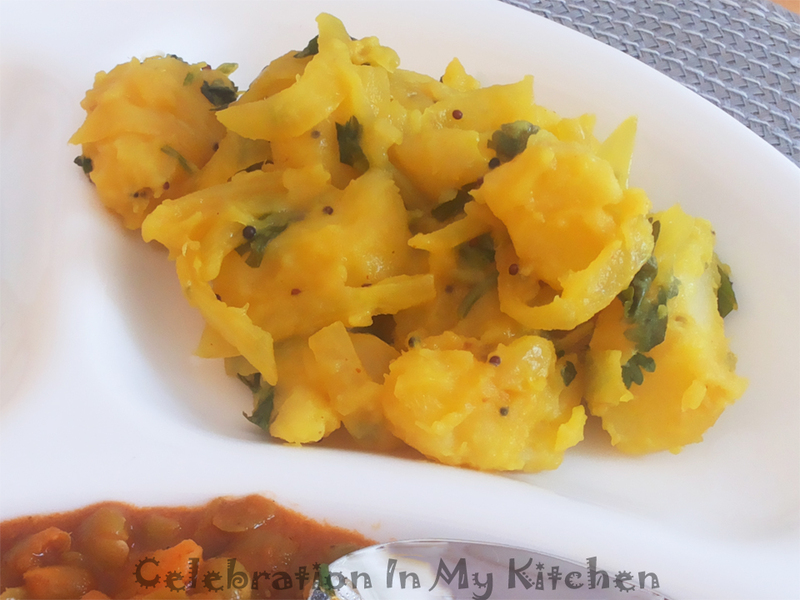 Besides breakfast, this dish can be served as a side dish at the main meal. Dried peas are packed with fibre that aid in lowering cholesterol and managing blood sugar levels. Good source of iron, magnesium and potassium, healthy for the heart. Low in fat and rich in protein that helps with weight loss. Contains purine so those with kidney problems or gout should limit or avoid consuming dried peas. Heat oil in a skillet and roast the onion till translucent. Then add coconut with the onion and continue to roast till both are light brown. Dry roast rest of the ingredients except the turmeric powder. Grind all roasted ingredients, turmeric powder with some water to a fine paste. Heat oil in a pan and sauté the onion till translucent. Then fry the ground paste for few minutes. 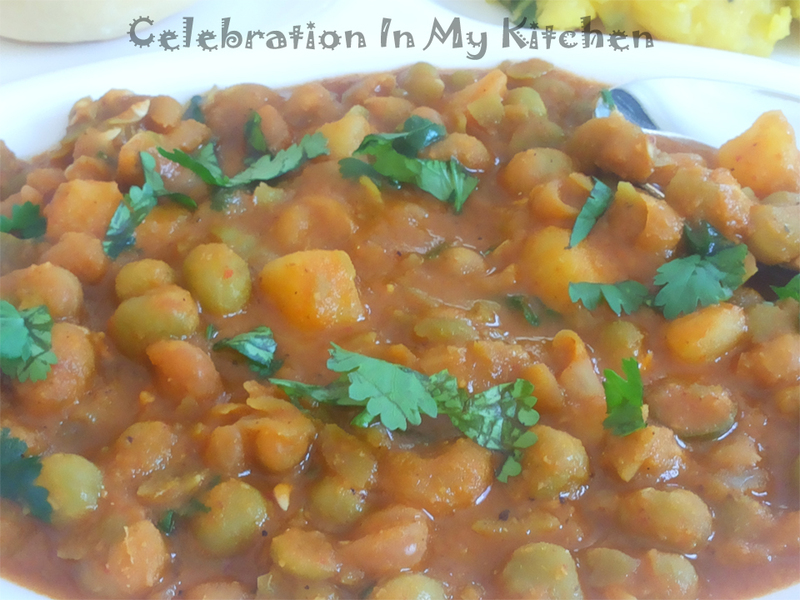 Add the boiled peas along with the remaining cooked water, tamarind water, potatoes and a cup of water. Simmer and cook till potatoes are tender. Adjust seasoning by adding jaggery or sugar and salt. If gravy consistency is thick, add some water. Garnish with coriander leaves. Heat oil in a pan and add mustard seeds along with curry leaves. When the mustard seeds start to splutter, then fry the onions with some salt till soft. (I usually cover the pan and cook the onions on low heat). Stir in the turmeric powder, green chillies, boiled potatoes, lemon juice and salt (if needed). Cook on low heat till well combined. Garnish with coriander leaves. 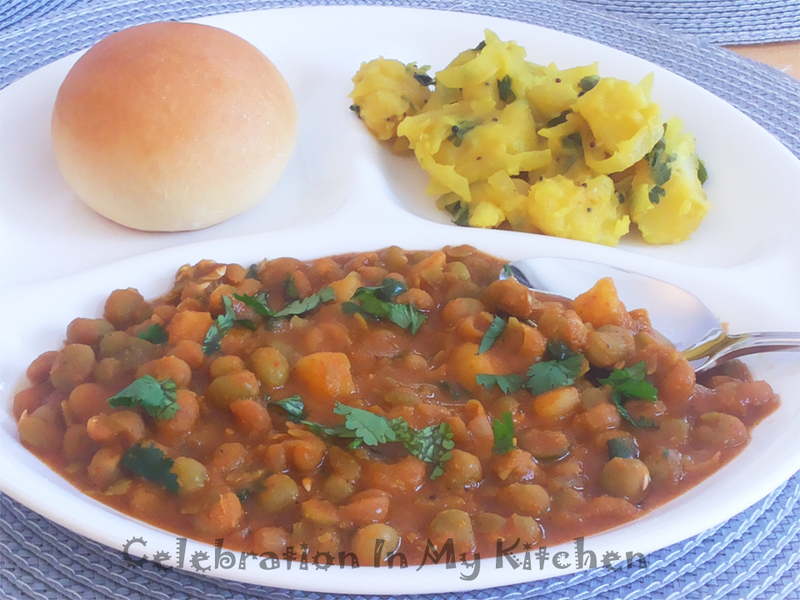 Serve patoll and sukhi bhaji with pao (bread) or puris.